Let me preface this by stating that I love my country. I'm proud of its diversity and its inherent tolerance to all citizens living there. Growing up, I don't think twice of the fact that my maternal aunt's daughter in law is a Catholic or that many of my friends are ethnic Chinese. I spent my formative years raised by my Namborus and their family in Boston: a Muslim living in a Christian household and yet it worked perfectly fine. I gained two additional amazing mothers and a family for life. When I told my American friends that my aunt's daughter in law is Christian and I'm Muslim, they are perplexed. How could one family contain different religions? They just do, and we live in perfect harmony despite of it. I realize then how lucky I was growing up in a society where differences are embraced, not shunned. 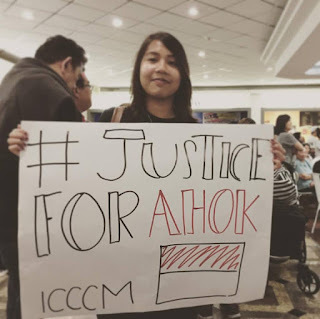 Therefore, in my view, recent sentencing of Ahok on the so-called blasphemy case highlighted the rottenness of our criminal justice system which exposes forces and threats to our Indonesian way of life that masquerade as religion. The Islam I was taught is an Islam that will bring blessing for all mankind, and as such it is our duty to keep the peace, maintain harmonious interpersonal and inter-religious relationships. In my opinion, this translates to a duty for Indonesian Muslims, as the majority, to protect and be the voice of those less fortunate. A big part of that duty is to also keep Indonesia united. Yesterday's rally in Los Angeles showed me that the cherished Indonesian values that we grew up in are still very much present. There were many signs proclaiming "NKRI Harga Mati" brought by people that shows patriotism at its purest form. 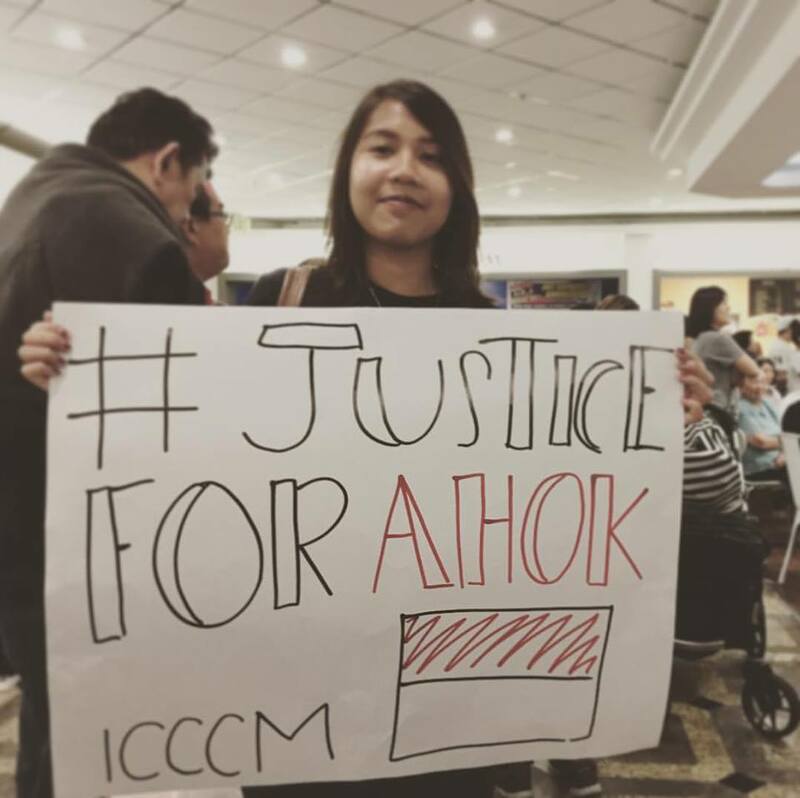 Ahok may never mean to be a symbol, but a symbol he has become. I've witnessed people from all walks of life gathered yesterday in support of this man and the country they love. To paraphrase, a Chinese-Christian man has become the uniting symbol of hope for Indonesia, a country that boasts the largest population of Muslims in the World. If that's not a personification of Indonesia, I don't know what is.